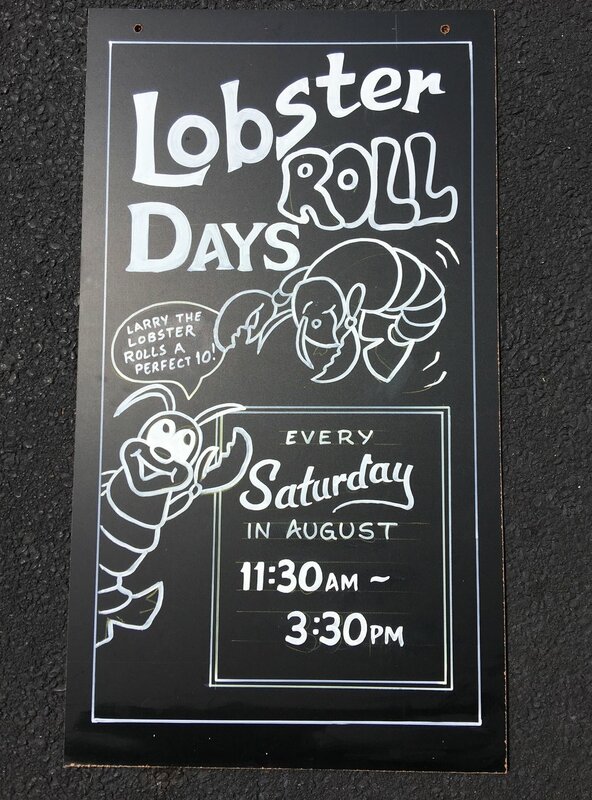 Custom painted chalkboards are a hot trend. Customers who have long been overwhelmed with slick print advertising everywhere they look, respond positively to chalk art. We can paint on your boards or custom build one for you. Single sided, wall mount, easel mount, A-frames, or full walls. An economical, versatile display choice thats easy to change and gives your clients a local, small business, hometown vibe. It's easy, fun and effective advertising your clients will love. 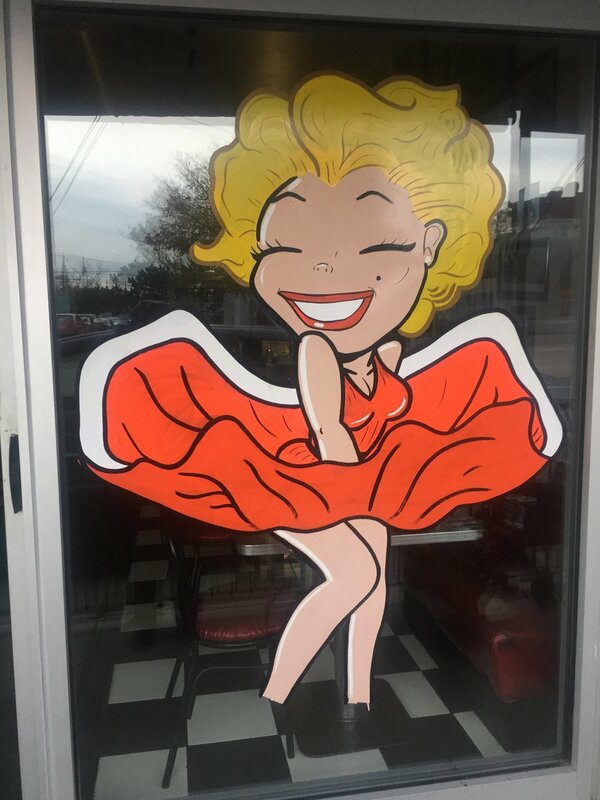 For example: Crumbz Cakery gets a huge social media response from parents with children who make special trips to see the unveiling of the new art for their seasonal children's window splash paintings. Several auto dealerships have told us we attracted new customers and they sold cars on the very day we were painting their ad. The process is simple: give us a call. We will come out, go over a few ideas in a short meeting to define what your message is and who you are trying to reach, then we draw up a design right there on site and start painting. By the end of the day, your ad will be working for you and bringing in new business. not sure what you want yet? Let us help!